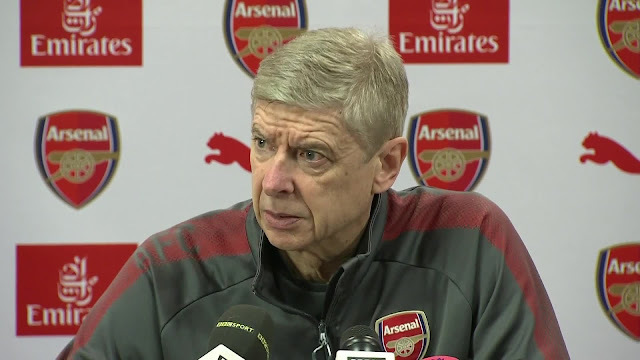 Arsene Wenger believes it is getting harder to win in the Premier League as teams outside the top six are happy to park the bus in order to earn a point. The Gunners have been frustrated in their last two matches, with their 1-1 draw away to Southampton followed by a 0-0 draw against West Ham at the London Stadium in midweek. Arsenal will be hoping to secure all three points when out-of-form Newcastle come to the Emirates on Saturday but Wenger admits he is having to find new ways for his side to break down defences. "The philosophy has changed because first of all the crowds accepts it," said Wenger. "You would say as long as you don't score the first goal you're in a position where you have to take a gamble. "What is even worse you know if you have not scored in the last 10 minutes you will have to go through one moment, a free kick or corner and that's what could've happened at West Ham. "You can sit there and lose the game where you've have 70 per cent of the ball. It is a modern problem. "The defence gives you a new problem, you have to find a new solution. We are not far from it because you feel the quality of the game is there but we have to be more efficient to finish what we prepare. "Ideally you want both teams to have a go and play. If we find a solution and score, they will play. "So we have to create a situation that makes the game attractive. And we have to think that we play well enough, on our side, to make the game attractive. "I love to think that is our responsibility."